Fake Webcam - Play video as webcam, apply effects on webcam. 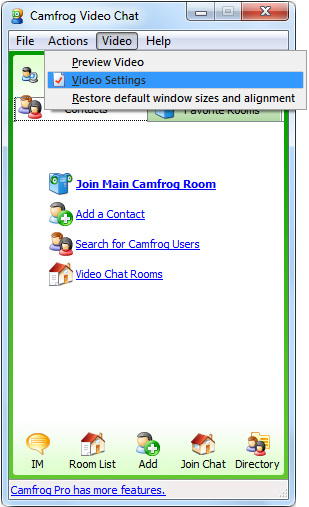 Fake Webcam - how to use fake webcam with camfrog. Click on 'Video' menu and select 'Video Settings'. Select 'Fake Webcam Source V6.1' from drop down list and click 'OK'.